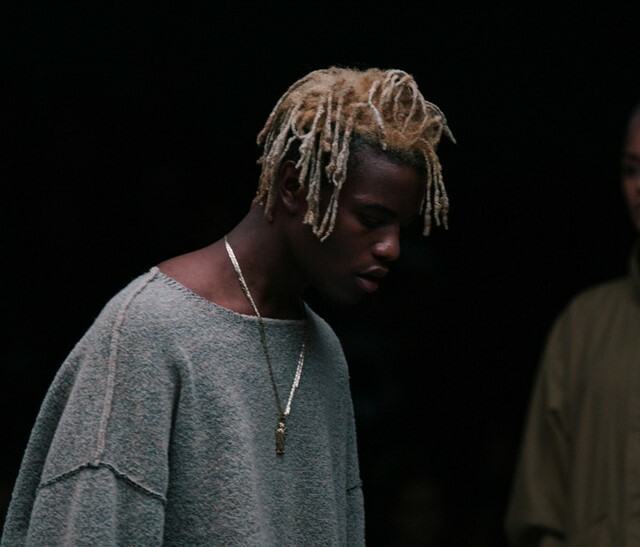 As a stylist, model, influencer and Raf Simons enthusiast, 23-year-old Ian Connor is a creative polymath of the post-internet generation. Adopted by the A$AP Mob in his late-teens, the New Jersey native has been honing his refined fashion eye for the past couple of years, styling celebrities and rappers like Kylie Jenner and Wiz Khalifa. In addition to his styling, Connor was seen modelling for friend Kanye West’s Yeezy shows, garnering attention for casually smoking a cigarette as he swaggered down the catwalk. More recently, he stormed Off-White’s AW16 runway to congratulate the brand’s designer Virgil Abloh, West’s creative director and a close friend of Connor, as he took his bow. But his influence extends beyond the realms of fashion. The multi-tasker also manages viral Atlanta rapper Playboi Carti, and is constantly seen supporting other creatives and musicians such as John Ross and Lil Yachty. Arguably, it’s on Instagram that Connor is best known (he’s got more than 425,000 followers). Largely starring himself, his posts feature today’s most sought-after labels – from Gosha Rubchinskiy and VETEMENTS, to Palace, Stüssy and Supreme. Connor and his similarly Instagram-famous, style-obsessed contemporaries like Luka Sabbat represent a new breed of fashion fanboy – one who has many fans himself.